Right from scoring system to time limit, everything is same to same,like the actual exam, in the practice tests. 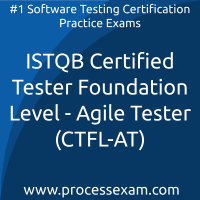 My result of 72% in Istqb Ctfl-Agile Tester certification is the blessing of my hard work on this site. Something could be in budget and good too is quite unbelievable. 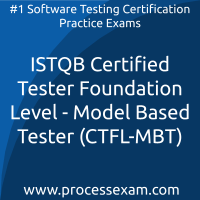 I gave ctfl-mbt certification exam by giving mock tests here. It is very much affordable and best in the lot. 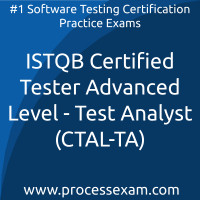 I was baffled and pleasantly surprised with the range of features available on this site to prepare for ISTQB Certified Tester Advanced Level - Test Analyst certification exam.I chose the premium membership and it proved quite useful to me. It seemed really difficult in the beginning. But as i started giving premium practice tests online here, i got a hang of it and i focussed on getting the concept behind the questions, rather than getting it right by fluke. 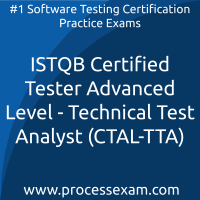 To my excitement, i cleared ISTQB Certified Tester Advanced Level - Test Analyst Certification. This will go a long way in building my career in the best manner possible. 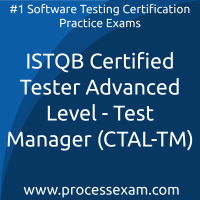 With just 2 months left to prepare for ISTQB Technical Test Analyst certification exam, i switched to processexam for paid mock tests. It was enough practice for me!